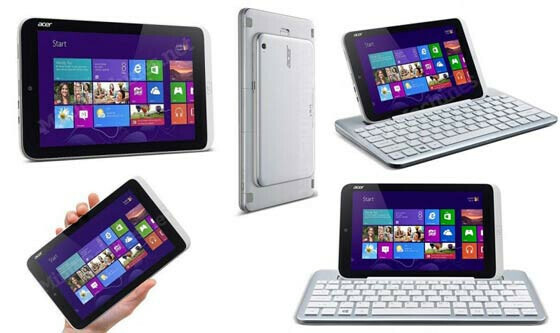 The Acer Iconia W3 will always be known as the first 8.1 inch Windows 8 Pro tablet. But one thing that it definitely doesn't want to be known for is the numerous complaints about the display on the device. The screen has a resolution of 1280 x 800 which works out to a pixel density of 186ppi. Now, there is some speculation that Acer plans on addressing the complaints about the display by producing an updated version of the tablet. The published report on Tuesday claims that the next version of the Acer Iconia W3 will have an improved screen and will also be thinner and lighter, as well. It will replace the TN-LCD glass currently on the tablet with an IPS display. The updated slate should be on the market by September, although it isn't clear whether Acer will affix the same name to the revised tablet. There is also a possibility that the current price of 329 EUR ($433 USD) for the device will be changed. This real good news because some reviewers said that if had a better touch screen it would be a very good tablet indeed reviewers stoned the device because it's touch screen was below the quality of cheaper 200 dollar Android tablets. Acer even made better tablets than the W3 it's nice to cut costs but a company can Overdue it too.